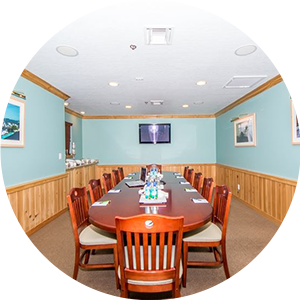 Our beautiful Sebastian resort features three conference-ready rooms and all the must-haves you need, including a 60” flat screen television, 10’ projection screen, flip charts and markers for a productive meeting. 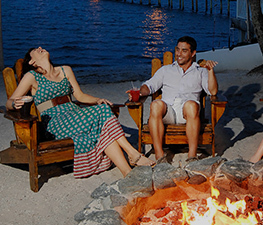 Your resort coordinator will work with you to secure the details you need. All work and no play? 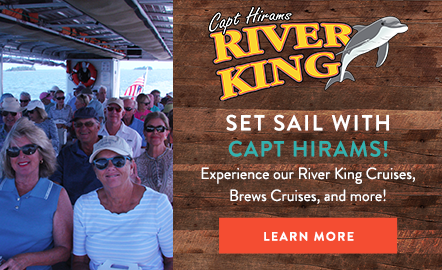 Not at Capt Hiram’s! 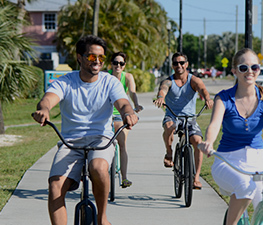 With live music daily, four bars on property, a blue-water pool, and plenty of water activities to explore, your group will never be bored at our resort. No need worrying about where everyone will stay after your meetings. Hotel accommodations are steps away from our event spaces! 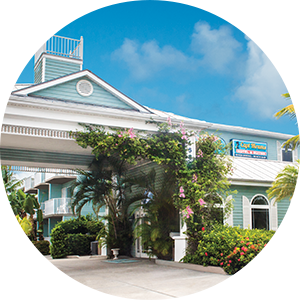 Capt Hiram’s Resort Hotel has 86 beautiful Key West style rooms with all the comforts of home. Need more than 8 rooms? Be sure to ask us for our special room block pricing. 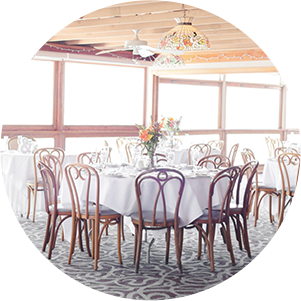 Measuring 2,800 square feet and featuring beautiful views of the Indian River Lagoon, the Tiffany Room can seat up to 150 guests in an array of custom setups. The Tiffany Room has high-speed Internet, a podium, a PA system, and a projector and screen. The room’s proximity to the Sandbar and the marina make it a breeze to transition from business to riverfront fun. Ideal for small executive meetings, this oval boardroom seats 14 guests and is equipped with state-of-the-art AV technology. 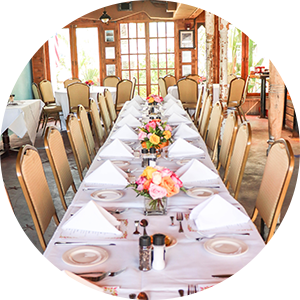 Catering for meetings is available or you may opt for a break from the boardroom and enjoy sunshine and seafood at the Sandbar or Blackfins. Looking for a fun beach feel for your event? 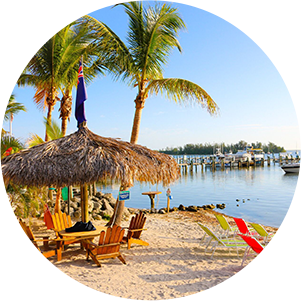 Accommodating up to 100 guests, Bimini Beach is the perfect outdoor space for a casual cocktail party, or even an evening luau with tropical cocktails and roasted pork. It’s a great day or evening event under the stars! A fun and rustic room seating up to 40 people comfortably with all the amenities you need. A raised platform with podium and sound system, 3 big screen televisions that can entertain your group while enjoying a meal or bring your HDMI cable to play your videos and presentations. After your meeting, you are steps away from live music played nightly, or feast on a seafood dinner and libations at one of our 2 restaurants and 4 bars, or let us serve a meal to your group right in your meeting room. 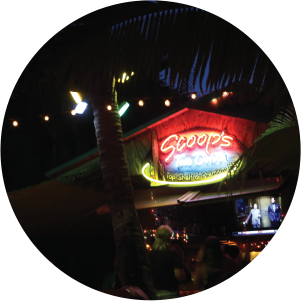 An elevated exclusive bar nestled under swaying palm trees and top-shelf liquors, we host a variety of privately-catered events for groups looking to relax, listen to live music, and kick back after a hard day’s work! 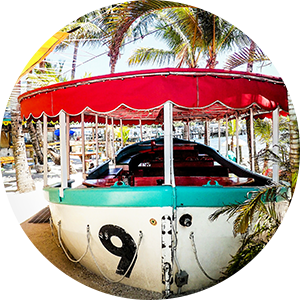 Imagine a full-size boat nestled on soft white sand close to our main stage and our crew members ready to bring you a great meal and drinks! That’s our very own, Anita Boat. 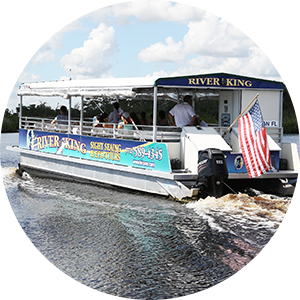 With seating for up to 35 people, you can reserve the entire boat and sit with your group just steps from the scenic Indian River Lagoon.